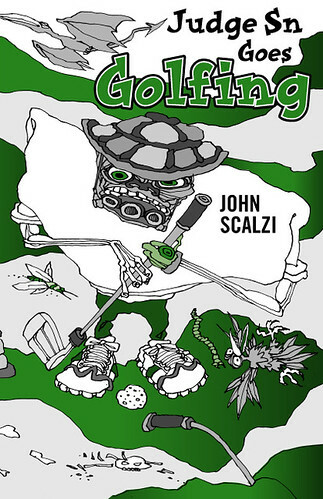 Yes, the cover and interior illustrations of my upcoming signed chapbook “Judge Sn Goes Golfing” are by none other than Gahan Wilson. If you are not aware of who Gahan Wilson is, you have my pity, but this is easily corrected. Suffice to say that he’s one of the visual artists whose work I have always loved, and when Subterranean Press publisher Bill Schafer told me Wilson was doing the art, I giggled like a happy child for about a week. It’s really the perfect marriage of illustrator and story. I could not be more pleased. In fact, I’ll probably frame one of the chapbook covers and put it up on my wall. Because, dude. Gahan Wilson is illustrating my story. As I said: SUPER AWESOME. The story’s not bad, either. * This study suggests that (presumably, straight) men get so flummoxed in the presence of a pretty woman that they actually get appreciably stupider around them. Having watched men walk into walls craning their heads trying to get a look at my wife, this does not come as news to me. Nor am I immune to it; I think it partially explains why to date I have not won an argument with my wife (the other part is that she’s both smarter and more logical than I am, and we generally only have an argument of any sort after I have done something manifestly stupid. It’s really frustrating, it is). More generally, I’m aware that when I meet a pretty woman for the first time, my “showoff” gene expresses itself more than it usually does, and sometimes not to my advantage (the advantage specifically being “trying to show that I can interact with this woman in a rational manner”). I try to work on that. * The New York Times uncovers the fact that people read on the subways. That’s some nice work there, Gray Lady. Less snarkily, one can either find it mildly depressing that the Times finds reading while commuting news-worthy, or can find it a vindication for one’s own bibliophilic lifestyle. Or alternately, just say, yeah, people read, that’s nice. * If you are a reader (and if you’re reading here that’s a good guess), prepare to squee yourself with this photo montage of Neil Gaiman’s library shelves, in which it’s revealed that he probably has many more books than you, my friend. I don’t know that he has more books than me, but his aren’t splayed all over his office floor like mine are, and that I suppose that’s the major difference between me and him, other than, you know, numbers of awards and books sold and movies made and rock stars dated and hair. Which are minor things, really. 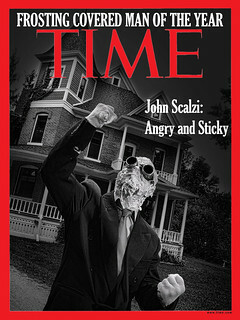 * Apparently many of the same people on the right who are losing their minds over health care are also currently losing their minds over the idea that Obama’s giving a speech aimed at school kids, because clearly the man is going to indoctrinate the children into his crazy socialist ways, and they’ll come home expecting the government to start providing communal services, and everyone knows that’s just the sort of thing we shouldn’t be teaching in our public schools. Three things here. First, we’re definitely well past the point where anyone brandishing the word “socialist” for anything relating to Obama might as well have a blinking neon sign over their head that reads “tool.” Please, just stop. Second, anyone who thinks that school children would watch this upcoming speech with anything more than dutiful, glassy-eyed boredom has forgotten what it’s like to be a schoolkid being forced by adults to do things for incomprehensible reasons. I would be no more concerned about Obama indoctrinating kids with a televised speech aimed at them than I was when Bush did the same thing when he was in office; the kids will find it equally lame regardless of who is president. Third, as it happens, I don’t want my kid watching the Obama speech in school either, not because our president will infect her with socialism, but because it’s going to be a bland, pointless time-waster and I’d rather have my kid spending time learning something. 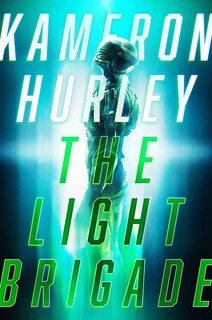 * My pal Mary Robinette Kowal has a new short story up on Tor.com. Reading it will make you a better human being, I’m sure of it. 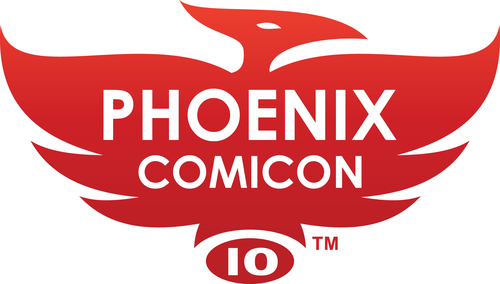 As noted by this tweet from the organizers, I will be author guest of honor at the 2010 Phoenix Comicon, in (wait for it… ) Phoenix, Arizona, over Memorial Day weekend (May 27 -30 for those of you not in the US). It should be a lot of fun. Their Twitter feed has the details on the rest of the guests, and the Web site apparently will be updated with the whole list on Friday morning. A bit of burnout from having attended a dozen conventions in the last couple of years. I am looking into scheduling a couple of non-con appearances, and we’re also hoping very much to get to AussieCon4 next year, because, hey, Australia. If we get there, it’s a pretty sure bet I’ll do panels, etc. But otherwise, barring an extraordinary change of circumstances that requires me to throw out my plans for next year and start over, this is pretty much it. So if you’d like to see me do my thing, Phoenix is the place you want to be in 2010.